Professor of Piano at the Indiana University Jacobs School of Music and internationally recognized pianist Evelyne Brancart was welcomed to the Christel DeHaan Fine Arts Center on Jan. 18. Brancart’s playing filled Ruth Lilly Performance Hall with music from the Romantic period, including pieces from Beethoven, Schumann, Chopin and Liszt. Brancart said her desires were to connect with the audience through her music and having taken a brief hiatus from recitals, enjoy her first experience in a concert hall. Brancart, a native of Belgium, has been awarded prizes in four international piano competitions. She was invited to play at the University of Indianapolis by Assistant Professor of Music Greg Martin, a friend of hers. Brancart said she agreed to play in the hall because some of her students at IU have played the venue before. The students spoke highly of playing in the hall, Brancart said, and she wanted to experience it herself. A few of Brancart’s students came to the recital, including Ubenge Kueg, a graduate student at IU Bloomington. Kueg completed his undergraduate studies in piano performance with Brancart, and continued his musical studies into graduate school. Kueg said that Brancart’s playing always amazed him and that her teaching style was considerate and open-minded. “She doesn’t make you copy what she does, rather she teaches you how she understands a certain concept, and lets you think about what that is for yourself before you decide for yourself if that is something that you want to use for yourself,” Kueg said. 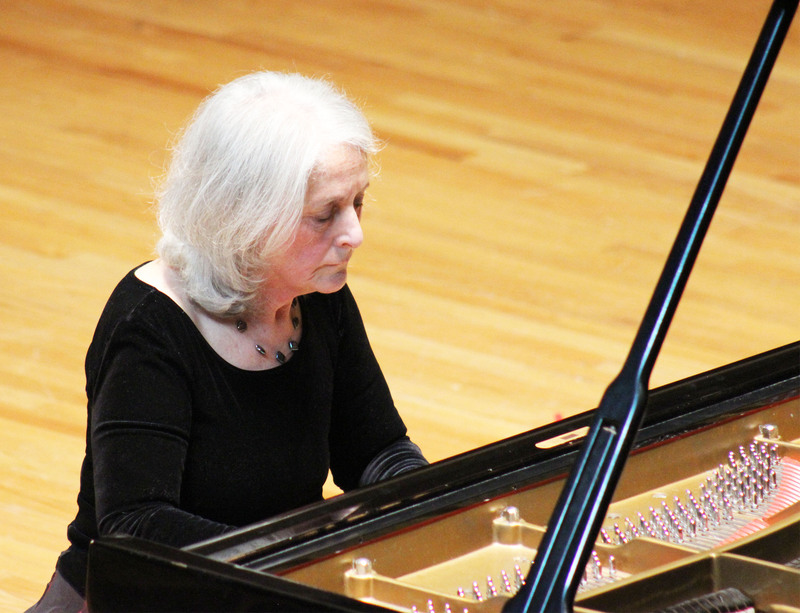 Even as an experienced mentor and pianist, Brancart said that before performances she tends to get nervous, including the show she put on at UIndy. Once on stage, however, she said her anxiety is lost in the music because she has to focus on playing and delivering the best possible performance. Freshman French Horn Performance major Natalie Haynes had not heard of Brancart before the performance but decided to attend anyway. Haynes said that she had not heard any of the pieces Brancart performed before and enjoyed hearing the new music. “I felt like I saw all sides of her tonight just through the pieces themselves and that was really incredible,” Haynes said.